No appointment? No problem. 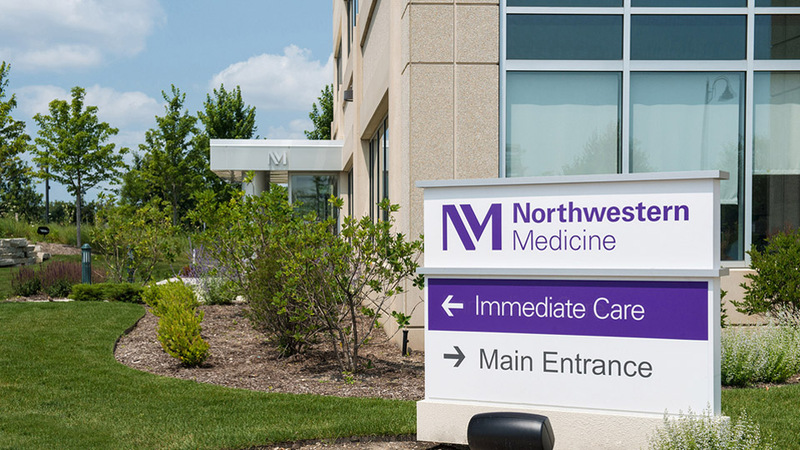 Northwestern Medicine Immediate Care Centers provide great care when you need it, without going to the emergency room. We're a state-of-the-art immediate care center with physicians on-site every day. Our licensed physicians and healthcare providers are trained to evaluate and treat a variety of medical conditions in adult and pediatric patients. Immediate care centers can be used as a backup option to the emergency room or even your first choice for receiving timely treatment for minor injuries, such as bruises, scrapes, burns, and sprains, as well as treatment for more serious—but not life-threatening—medical conditions. All clinics offer care for minor illnesses and injuries. No appointment is necessary. Walk-in services are always available. Northwestern Medicine Immediate Care Centers do not treat patients less than 6 months of age. Please enter your legal name when making a reservation. One (1) patient per reservation. Lab orders tests and X-rays are provided as part of an office visit and evaluation by the physician. Any other tests that the doctor orders will be sent to the laboratory at Northwestern Memorial Hospital. Your results will be shared with you and your primary care doctor as soon as they are available. Some laboratory tests take longer than others and it may be several days for before results are available. *Hours vary on holidays, including: Thanksgiving Day, Christmas Eve, Christmas Day, New Year's Eve, New Year's Day, Memorial Day, July 4 (Independence Day), Labor Day.